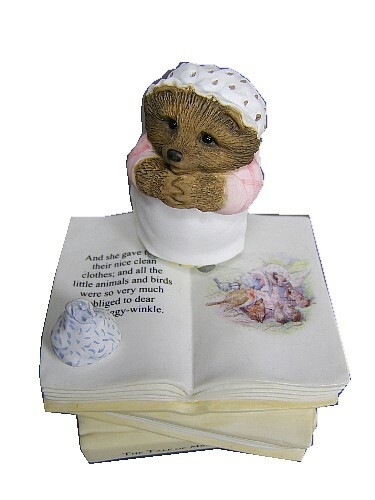 Beatrix Potter Music Box, Mrs. Tiggy-winkle. The Tale Of Mrs. Tiggy-winkle Figurine. 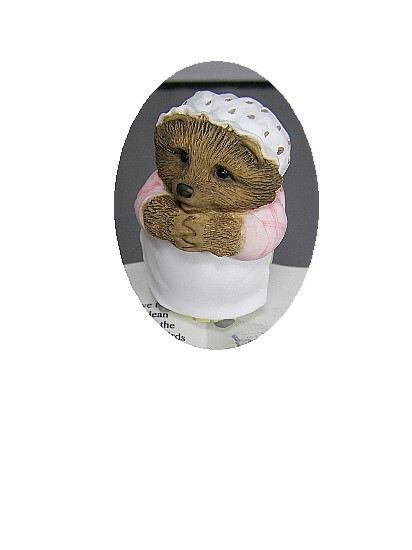 Mrs. Tiggy-winkle music box figurine. She is fitted with a clockwork wound musical movement, which is fitted into the base. Once wound, the music plays and the figure revolves to the music. This superbly crafted figurine from 'The Tale of Benjamin Bunny' is from the Border Fine Arts Studio 'The World of Beatrix Potter' range. Approx Size : 115 x 93 mm. Tune : Au Claire De La Lune. Please note this item is a collectable figurine and is not intended as a toy. It is not suitable for children under 8 years old.